Registration for Fall 2018 Recreational Soccer is now open! Click on the link below and then click Member Log-in to create an account. Stay tuned for on-site registrations. 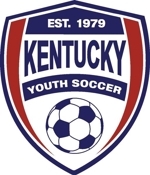 The Fall 2018 recreational soccer season will soon be underway. Parents will receive a call from their child's coach the week of August 27th. Fields will be available for practice on September 4th. The first games will be the week of September 10th . Last games will be on November 3rd. No games will be played October 6th through October 13th due to Fall Break. U4, U6, and U8 play at Benton and Calvert City. Games are scheduled for both locations typically alternating week to week. Games are primarily played on Saturday mornings with occasional weekday afternoon. Practice times and locations are decided by coaches, but these teams typically practice once per week for approx. 1 hour. U10 and U12 play home games at Calvert City Memorial Park. Away games are played at Lyon, Crittendon, and Caldwell Counties. Games are primarily played on Saturday mornings with occasional weekday afternoons. Practice times are decided by coaches, but these teams practice either once or twice per week for 1.5 to 2 hours. MCSA will provide a uniform T-shirt for each player and balls/equipment for practice and games. Each player will need to provide their own cleats, shin-guards, socks, and shorts. Please plan to stay with your child during practices and games. We take pride in our Recreational League being fun and fair! Coaches will be able to have their own player/child/family member etc on their team and coaches have the ability to recruit assistant coaches to help out with the team and the assistant coach will be able to have their player/child/family member etc on the same team. Outside of this arrangement, teams will be assorted randomly. We greatly appreciate our coaches and volunteers! If you are interested in coaching, please reach out! It is very rewarding and you are help making a difference in our community. There will be 2 coaching courses offered this year in Marshall County. The state requires these for anyone wishing to be a mainstay in coaching in not just the state but anywhere in the country. The course links are below. If you plan to sign up or are interested you can contact Donnie Heath at donnie.heath@marshall.kyschools.us. If you plan to coach within the MCSA, your registration fee for the courses will be reimbursed.